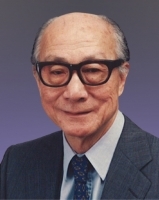 Dr Ng was one of the first graduates of the Hong Kong Government Trade School, the earliest predecessor of PolyU. After graduation, he has set up a construction company and continued to serve the construction industry for 50 years. Dr Ng has rendered unreserved support toward his alma mater. He has been honoured with the title of honorary doctorate and the Outstanding PolyU Alumni Award by PolyU for his commitment to the University. In 2008, the University further named a teaching block on campus after him.